As a kid, sorting through all of your Halloween candy at the end of a successful night trick-or-treating…and then proceeding to eat two-thirds of it, is just about as good as it gets. For parent it can be a nightmare (hello off the wall sugar highs and endless wrappers!). And, that’s just the culmination of a month-long, sugar-fueled Halloween celebration. We feel the struggle of keeping October’s sugar consumption in check while still enjoying the festivities! Thankfully, there are TONS of ways to keep things spooky and festive without adding to the sugar high. 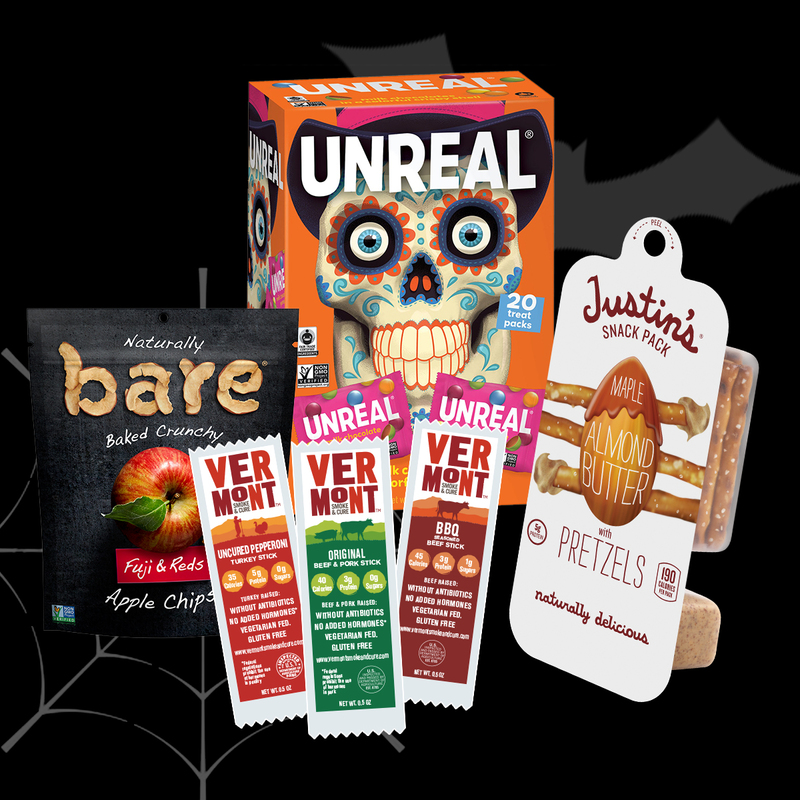 From Halloween-themed meals, to healthy Halloween handouts there are plenty of ways to enjoy Halloween while making healthy choices for your whole family! 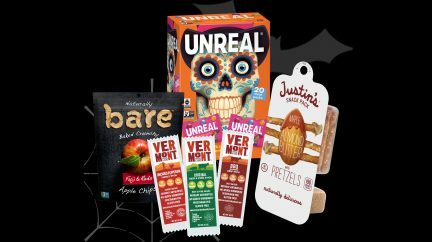 These “Halloween-themed” meals are healthy and low in sugar! 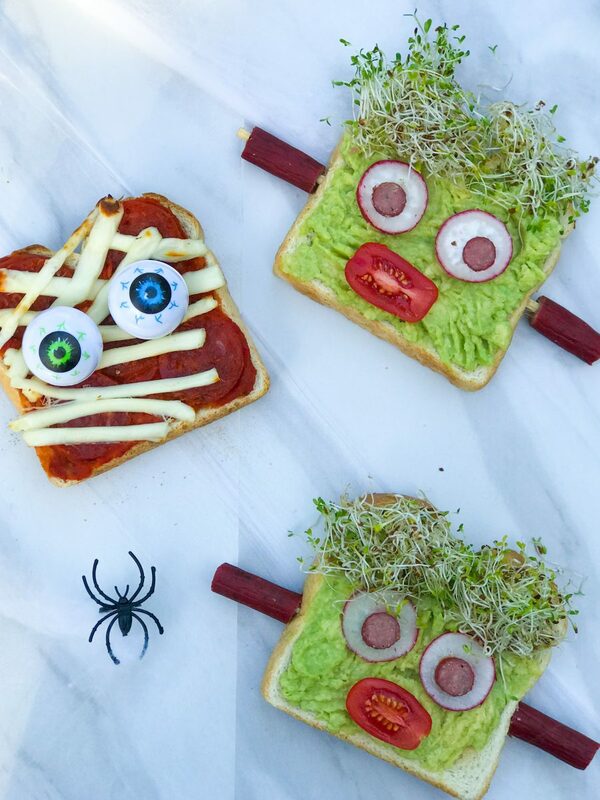 Frankenstein Avocado and Mummy Pizza Toasts…perfect for breakfast on the mornings leading up to Halloween. 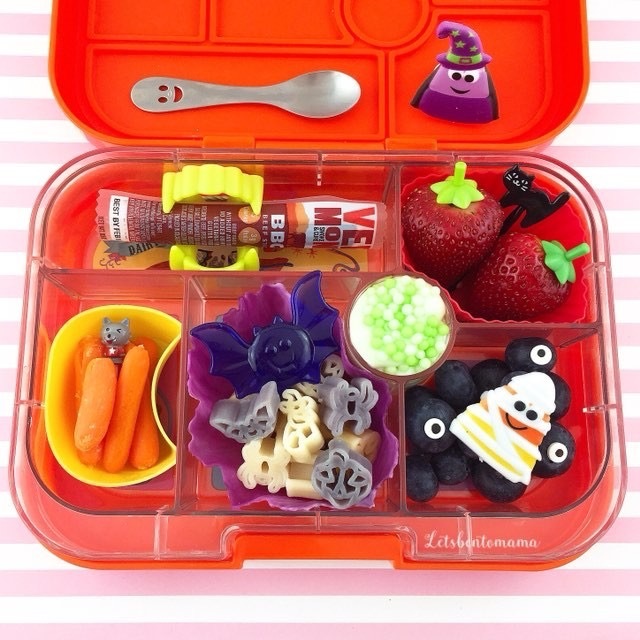 Halloween-themed lunchboxes, like this one from @letsbentomama, are another great way to stay festive. 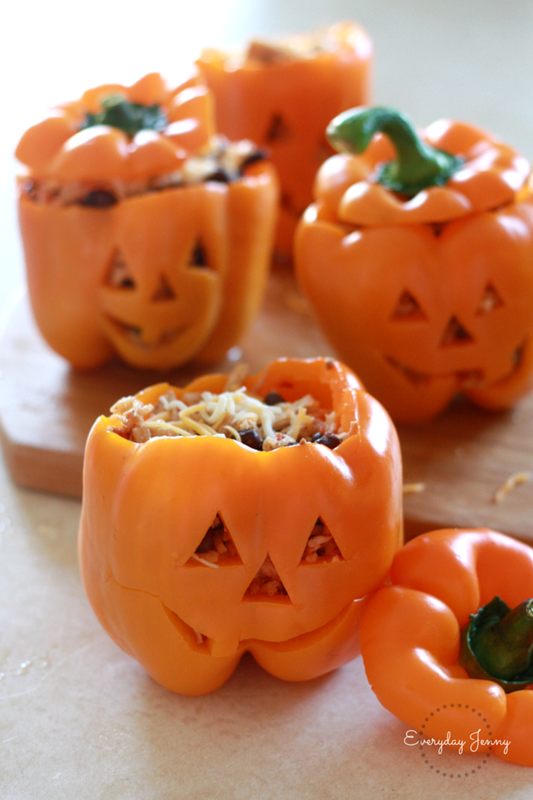 Stuffed pepper “Jack-O-Lanterns” like these from everydayjenny.com are a fun Halloween dinner your kids will want to help you with and are especially delicious when you add Smoked Pepperoni. 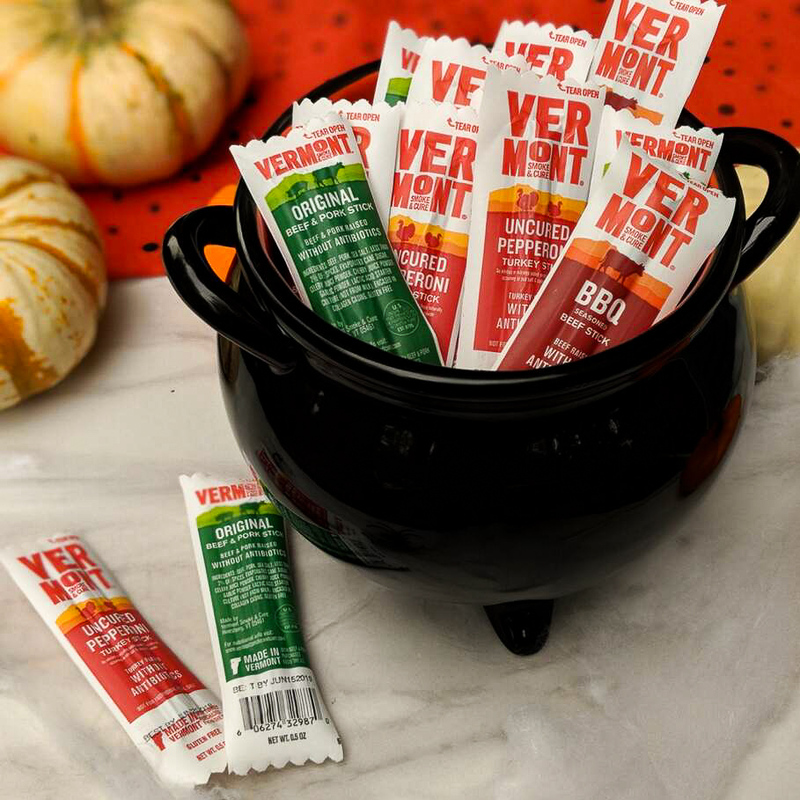 Alright, so you might not be the “cool” house everyone races to because you give out full-sized candy bars… but you might be, because these Halloween handouts seriously compete against candy flavor for them, with reduced guilt for you. Even better, see if you can encourage neighborhood parents to go halfsies – half Halloween classics like M&M’s and Reese’s, and half reduced-sugar alternatives your kids will still love! Nothing is worse than coming home with a Halloween bucket overflowing with candy…only to be told you can’t eat it all tonight. Talk with your kids before trick-or-treating and make sure to clearly lay out expectations. Can your kids have 5 pieces a day? Can they have access to their Halloween bucket after they do their homework and chores? Whatever your expectations about sugar consumption are, make sure they’re clear to your kids beforehand, so they don’t end their favorite night of the year with a meltdown.